March 1911 and Hilda Hewlett is quietly studying to become the first woman in the UK to gain a pilot's licence. She earned her certificate in August, just four weeks after Harriet Quimby made the same achievement in the USA. And in the century since, those early pioneers have been joined by a host of remarkable, smart and determined women who are still achieving firsts in aviation today. Many ladies have made significant achievements in the industry, but here we have have highlighted 10 of the most significant. These are Netflights.com Women with Altitude. 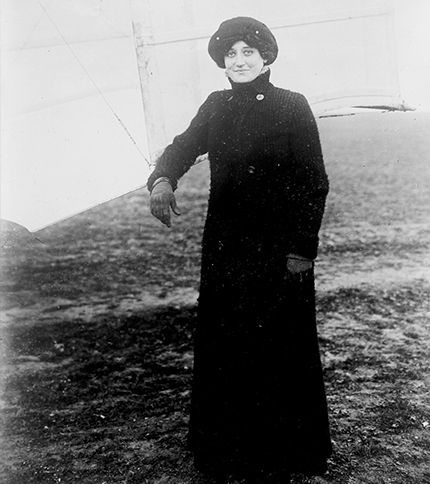 In 1910, in the still early days of aviation, Raymonde de Laroche became the first woman in the world to receive a pilot’s licence, paving the way for other women to follow in her footsteps and take to the skies. A year earlier, she had set another remarkable landmark. With the help of the aviation pioneer Charles Voisin, who provided instructions from the runway, she successfully piloted a biplane with no one else onboard. This was the first solo flight by a woman. "Flying is the best possible thing for women." Energetic, unconventional and adventurous, Lilian Bland became the first woman in the world to design, build and pilot her own plane. Playfully named Mayfly (it may fly, it may not fly), it was also the first biplane of its kind to be developed in Ireland. 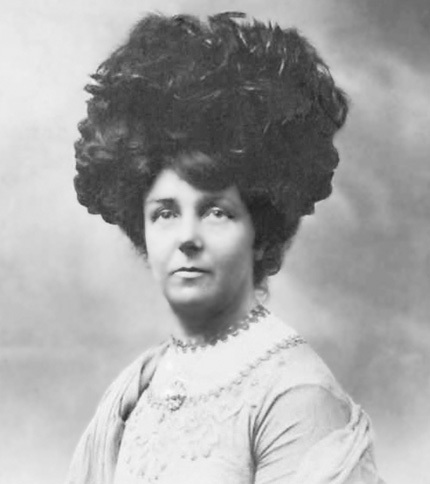 While she didn’t go on to pursue a career in aviation – her interest soon shifted to automobiles, much to the delight of her family – this remarkable and personal feat, achieved between 1909–1910, was astonishing and unprecedented. It secured her place in aviation history. 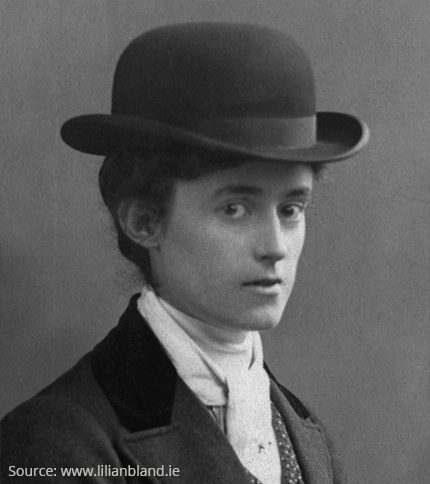 In 1911, Hilda Beatrice Hewlett became the first British woman to receive a pilot’s licence. This was just one of the many extraordinary achievements in aviation for Hilda, whose interest in flying had already led her to pursue a distinguished career in the burgeoning industry. A year earlier, along with the French aviator Gustav Blondeau, she not only established the first flying school in the UK, but also co-founded Hewlett & Blondeau Limited, a successful aircraft manufacturing business that contributed significantly to Great Britain’s war effort during the First World War. 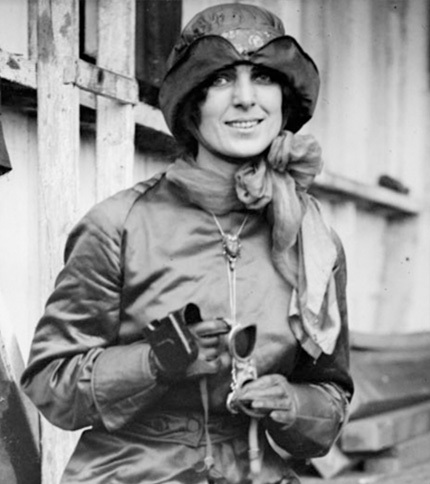 Described as America’s First Lady of the Air, Harriet Quimby was the first woman to receive a pilot’s licence from the Aero Club of America in 1911. In 1912, she became the first woman to successfully fly across the English Channel, just three years after the French aviator Louis Blériot made the inaugural flight. 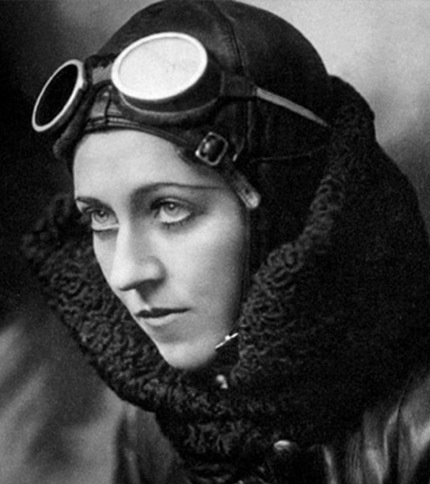 That same year she achieved another milestone, becoming the first female pilot to fly at night. This feat, which was performed during an air meet at the Richmond County Fair, also earned her an impressive $1,500, a huge sum of money at the time. "There is no reason why the aeroplane should not open up a fruitful occupation for women." Undeterred by a decided lack of aviation opportunities at home in the US, Bessie Coleman instead travelled to France to learn to fly. In 1921, after seven months of intense training, she was awarded an international pilot licence. She was the first woman of African American and Native American descent to receive this. On her return to the US, she carved out a successful career as a daredevil show pilot, gaining fame for her incredible stunts and performances at air shows. 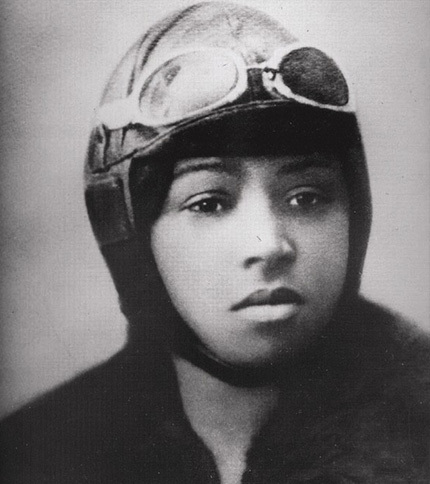 At the time of her death, she had been saving up money to set up a flying school exclusively for African Americans. "The air is the only place free from prejudices." One of the most famous pilots of all time, and a true pioneer of aviation, Amelia Earhart was the first woman to fly solo across the Atlantic Ocean in 1932. For this, she was awarded the US Distinguished Flying Cross, which recognises “heroism or extraordinary achievement while participating in an aerial flight”. 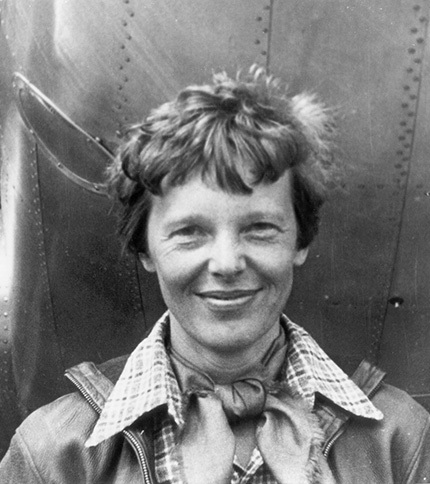 Other notable achievements include being the first woman to fly solo above 14,000 feet (1922); helping form The Ninety-Nines (1929), an international organisation that supports and champions female pilots; and becoming the first pilot to fly solo from Hawaii to California (1935). In 1930, only one year after obtaining her pilot’s licence, Amy Johnson successfully became the first female pilot to fly solo from Britain to Australia, clocking 11,000 miles in 19 days. Her longest solo flight prior to that had been from London to Hull, her hometown. She would spend much of the thirties setting long-distance records. This included becoming the first pilot to fly from London to Moscow in one day (1931) and breaking the previous speed record for London to Cape Town by an astonishing 11 hours. 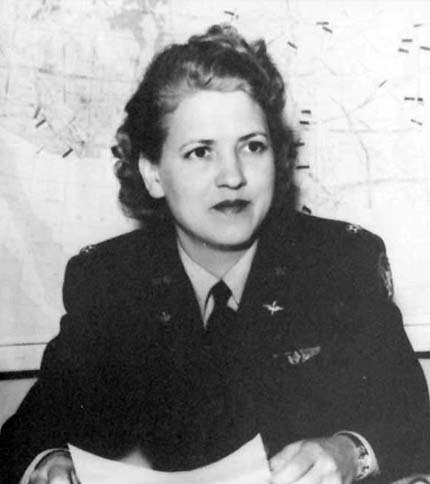 "Had I been a man I might have explored the Poles or climbed Mount Everest, but as it was my spirit found outlet in the air...."
In 1953, Jacqueline Cochran, who had already established herself as one of the most prominent female figures in aviation, became the first woman in the world to break the sound barrier in an F-86 Sabre. Throughout the rest of her life she would go on to set more speed and distance records. Other achievements include persuading the US government to use women pilots in non-combat missions during the Second World War and becoming the first woman to reach Mach 2 in 1964. "To live without risk for me would be tantamount to death." 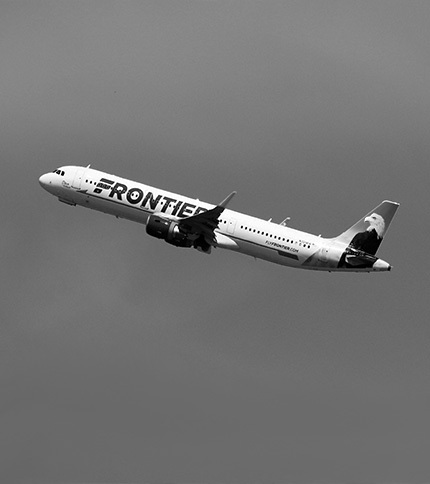 It was not until the early 70s that the world would see the first woman pilot a commercial airline, when, in 1973, Emily Howell Warner was hired by Frontier Airlines. Up to that point, no other major airline had ever appointed a female pilot. In 1976, she set another first, becoming the first woman to captain an airliner. She would go on to fly more than 21,000 hours, and later became a flight school manager, instructor and examiner. Her uniform can be found on display in the Smithsonian’s National Air and Space Museum. 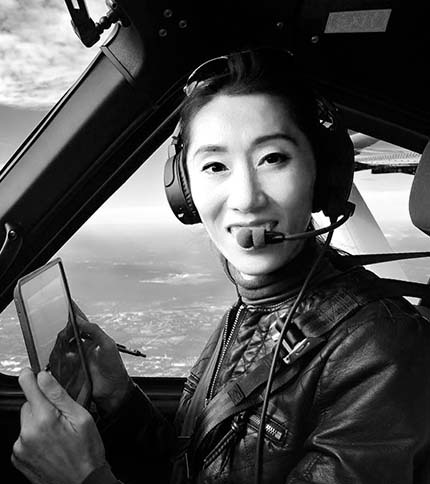 After spending most of her life pursuing a career in advertising, Wang Zheng, also known as Julie Wang, decided to take up flying. She obtained her private pilot’s certificate in 2011 and became the first Asian woman to circumnavigate the planet in an airplane in 2016. She joins an exclusive club of eight other women who have flown solo across the globe, and today, based in the US, she continues to fly. She is an airline transport pilot and a certified flight instructor. "I'm glad I proved that a woman could also do well in fields that men have always dominated." Last year, the International Air Transport Association (IATA) revealed that only 3% of airline CEOs were women. This is a startlingly low figure and it’s clear that the aviation industry still has a way to go before it achieves ‘balance for the better’ – as per this year’s International Women’s Day theme. We take a closer look at the current state of play to see just how far the industry has come and how much more progress still needs to be made. Last year ended on a high for women in aviation. In December 2018, Air France appointed Anne Rigail as its new CEO, making her the first woman to ever take up the prestigious role in the airline’s 85-year history. Prior to her appointment, Rigail had been Air France’s executive vice president. Rigail is seen as a force to be reckoned with, with her predecessor, Benjamin Smith, describing her as a “strong professional within the industry”. Her brief? To completely transform Air France. Christine Ourmières-Widener is another notable presence at the very upper echelons of the aviation industry. Since 2016 she has been CEO of Flybe, a small regional airline headquartered in the UK. Since her appointment she has been focused on investing in the latest technology to modernise Flybe’s operations. Her previous roles have included top positions at CityJet and Air France. Kristin Colvile heads up another significant role in the industry – since 2018 she has been CEO of the SkyTeam Airline Alliance. Based in the Netherlands, it’s made up of 19 different airlines across five continents. She’s another aviation heavyweight, with over a quarter of century’s worth of airline experience under her belt. Elsewhere, Aireen Omar is Deputy Group CEO of AirAsia, a Malaysian low-cost airline, while Carolyn McCall was chief executive of British based airline easyJet for seven years, up until January 2018. She is now the first ever female Chief Executive of ITV. In spite of these notable exceptions, a lot of work needs to be done to get more women into senior positions in the aviation industry. For example, according to the Centre for Aviation (CAPA), as of 2015, only 15 women hold a CEO or MD position at an airline. In the US, it is still the case that no major American airline ever had a female CEO. Beyond the world of senior management, the picture is just as troubling. Globally, only 5% of pilots are women – which is all the more startling when you compare that figure to the high percentage of cabin crew members that are women (69%). The appointment of Rigail at Air France is a huge step in the right direction to improving gender balance in the aviation industry and, as per the International Women’s Day campaign theme, encouraging more balance for the better.